The Plantation at Ponte Vedra in Ponte Vedra Beach, Florida. 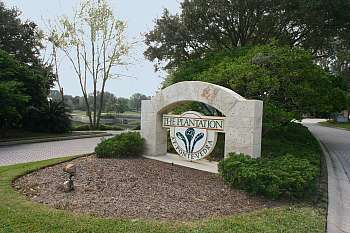 The Plantation at Ponte Vedra is an upscale gated golf club community located in Ponte Vedra Beach. It features a championship 18-hole Arnold Palmer golf course on 150 acres with an undulating links-type course with year-round bentgrass greens. A casual open-air 4,000 sq.ft. Beach House is located directly on the Atlantic Ocean, with Junior Olympic-sized pool, expansive deck area, locker rooms and a private beach. The Plantation also features a 25,000 square-foot clubhouse with sweeping views of the lake, the 18th green and tennis courts. The Plantation is an exclusive country club. Only residents are members, and all residents are full members (there are no partial memberships, such as social or tennis only). A tennis pro maintains an active program on the 4 lighted Har-Tru tennis courts. The clubhouse is elegant and well-appointed, with men's and women's locker and card rooms. Homes in the Plantation are nestled among grand oaks and close to the ocean. Indeed, the community pool is at their private ocean side beach club. There are still a few golf course home sites available for construction of custom homes. Homes range in price from $475's for garden homes to several million for estate homes.